Wendy has been the Executive Manager of Residential Services at Southern Cross Care (Victoria) since October 2010 in Oakleigh Victoria. 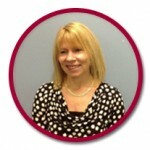 Wendy is the member of Executive Management Team and is responsible for the management of 9 residential homes. Prior to this, Wendy was the Manager of Ave Maria Village Southern Cross Care for 16 years. Wendy is also actively involved in ACSA and LASA. Wendy has been the Executive Manager of Residential Services at Southern Cross Care (Vic) since October 2010 in Oakleigh Victoria. Wendy is the member of Executive Management Team and is responsible for the management of 9 residential homes. Prior to this, Wendy was the Manger of Ave Maria Village Southern Cross Care for 16 years. She is also actively involved in ACSA and LASA.